iioffice opened in Ueno, Tokyo on September 8, 2014. 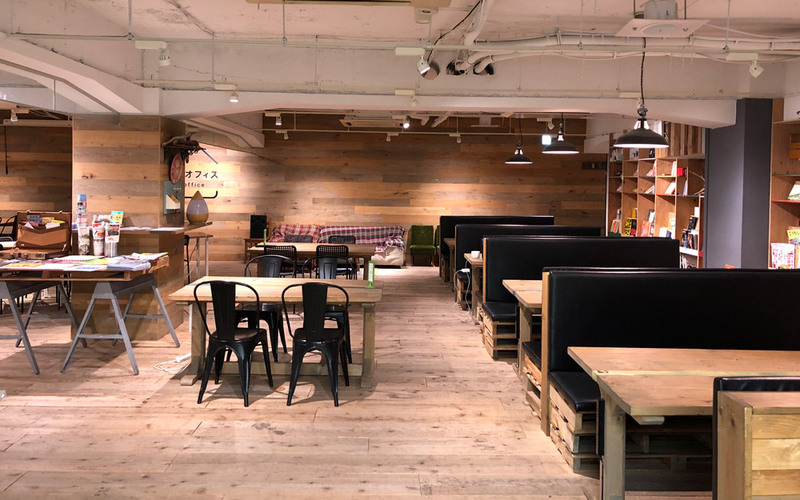 It's the creation of digital web agency LIG, founded in response to the lack of coworking spaces in Ueno and a general feeling of 僻み (jealousy/inferiority complex) towards Shibuya and Shinjuku—the two wards with the most coworking spaces at the time. 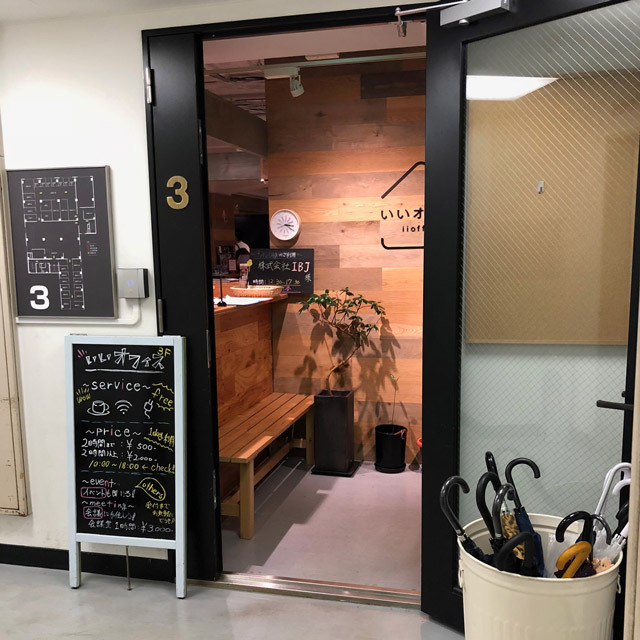 What was once a worn-out space in an old building just minutes away from JR Ueno Station was transformed into an inviting, modern workspace that everyone would call いい—hence the name "iioffice." What does the space offer? There's a 200-square-meter open space available for both members and drop-ins. Twenty-seven private rooms and booths for short and long-term rent are available, too. We were interested in the open space drop-in option, for which the rate was ￥500 for the first two hours and ￥2,000 for the whole day. In addition, we got access to a full kitchen equipped with a free coffee and tea station. Drinks and snacks are also available for a small fee. With all these details in front of you, you're probably wondering how the experience was. It was very positive. To provide some context, Aya and I visited on a Tuesday in mid-February between 10 a.m. (opening) and 6 p.m. (when non-members have to leave). Upon entering the coworking space, we were greeted by one of the front desk staff. Thankfully, I didn't have to use my rudimentary Japanese—the gentleman behind the counter had a good command of English. He promptly gave us the rundown on the space and the available amenities. Aya and I already planned to put in more than two hours, so we paid for the all-day pass, and off to work we went. One thing to note: just like other businesses in Japan, they offer those official-looking business invoices/receipts so you can get reimbursed (if your company does that sort of thing). If you're in the Taitō area and looking for a comfortable, inviting, and quiet space to work in, I would definitely recommend iioffice. 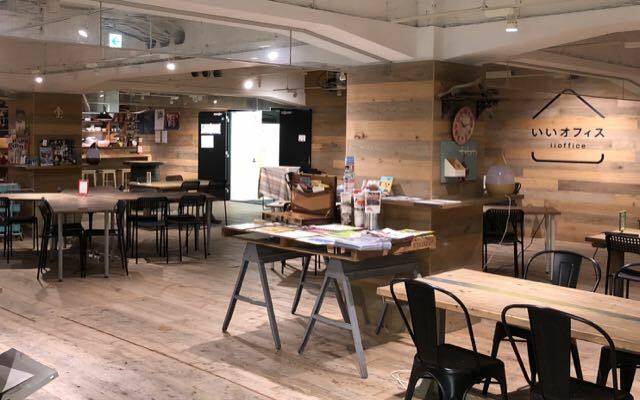 The coworking space is divided into two parts: a warm and inviting wood-decor open area and a more sterile, traditional office-decor "focus" space in the back. The back room is designed for those looking for a quiet environment to work in. Aya and I split our time between the open area and the "focus" space. The open area was outfitted with a mix of booths and four-person tables. Aside from us, there was only a handful of small groups present during our entire stay. iioffice never felt overpacked, and noise was nonexistent. The "focus" space was more densely occupied, but it wasn't a distraction at all—everyone was quietly typing and clicking away. It was interesting to see some people working with multi-monitor setups on communal desk space. Taking a glance at their screens, it seemed the majority of them were cryptocurrency traders. So how was the Internet? Acceptable. Not blazing fast, but it shouldn't stop you from getting your work done. Good location near Ueno Station. Space is comfortable and quiet. No major complaints.